Don't want to use it for storage? Fill it with soft and smooth pouf inserts and create the most adorable dinosaur bean bag chair ever. Have fun with your kids, sit on top, take a quick nap and relax. · 100% smooth and soft cotton canvas. 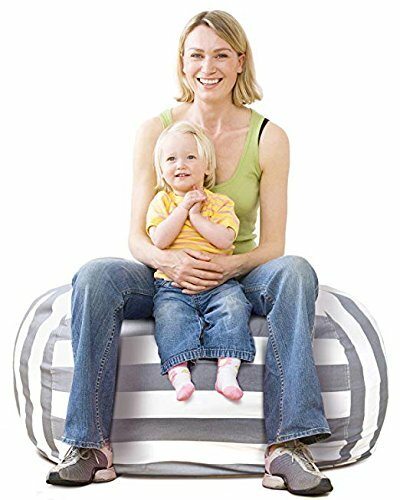 MADE TO LAST: Made of high quality cotton canvas, you may rest assured that this bean bag chair cover is 100% safe for your toddler. Toss away all those chemically packed fabrics that would cause skin rashes. This stuff n' sit beauty is a keeper. It is equipped with a durable zipper closure and reinforced stitching for maximum protection.